“Weaver’s Choice Cotton" is a collection of traditional cotton rug designs that Harriet has perfected over the years. Woven from new fabric recycled from industry waste, these are classics that may not be around forever as the textile industry in the United States continues to dwindle. The name of this distinctive striped pattern refers to the stripe that alternates dark and light threads creating a "log cabin" effect - a traditional design element. Log Cabin continues to be a favorite design among our customers. We will add new colors as long as our supply of recycled floral fabric lasts. Khaki and maize stripes intersect to form squares of dynamic color, creating this handsome plaid. 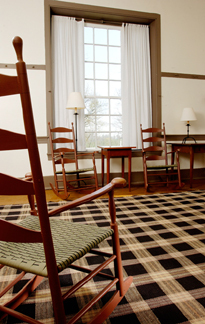 Image at right is FC5 photographed at Shaker Village of Pleasant Hill. FC1 is currently in stock in 3' x 5' in addition to the standard sizes listed below. Intriguing asymmetric plaids. 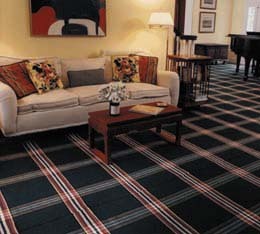 Colorful stripes form interlocking squares to give these rugs a windowpane effect. 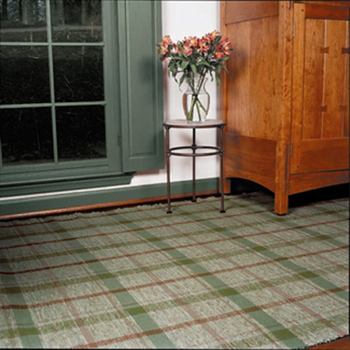 Rhyme and Reason and McLeod's Praise© are simple tartan plaids that adapt wonderfully to rag rugs. Stripe Sequence is my newest design, inspired by traditional Swedish weft striping that enhanced many finely woven rag runners. The colors are a pleasing balance of calm ocean hues and vivid spice colors. Available only by custom order. Orders for custom colors are welcomed. 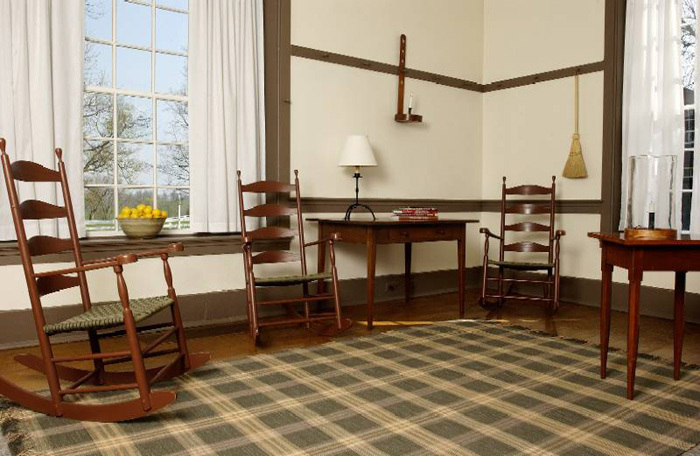 These rugs are woven with 100% cotton warp threads and cotton or cotton-blend fabric strips. 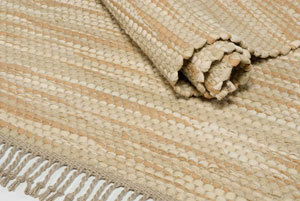 All Weaver's Choice Cotton rugs are washable (care instructions included). 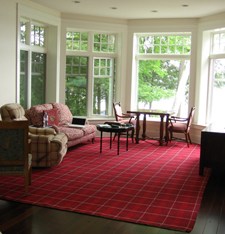 Weaver’s Choice Cotton rugs may be custom-ordered in wool. Please inquire.